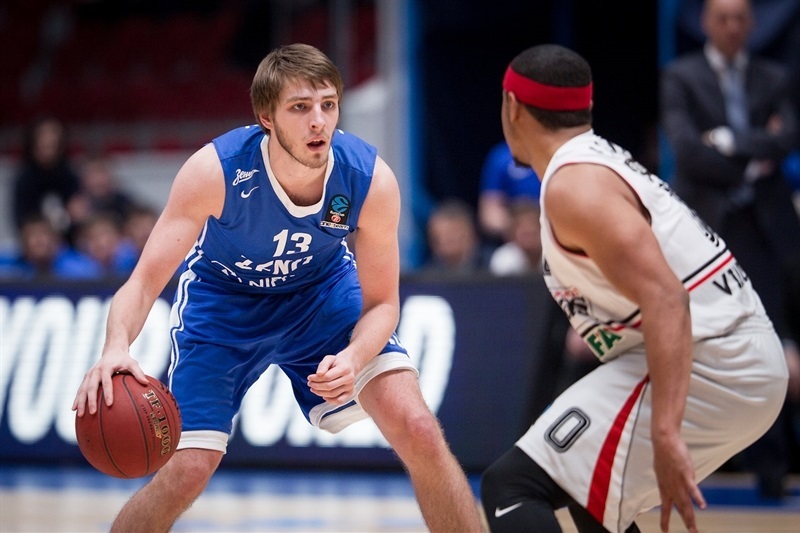 Janis Timma poured in 27 points off the bench as Zenit St. Petersburg defeated Lietuvos Rytas Vilnius on Wednesday. 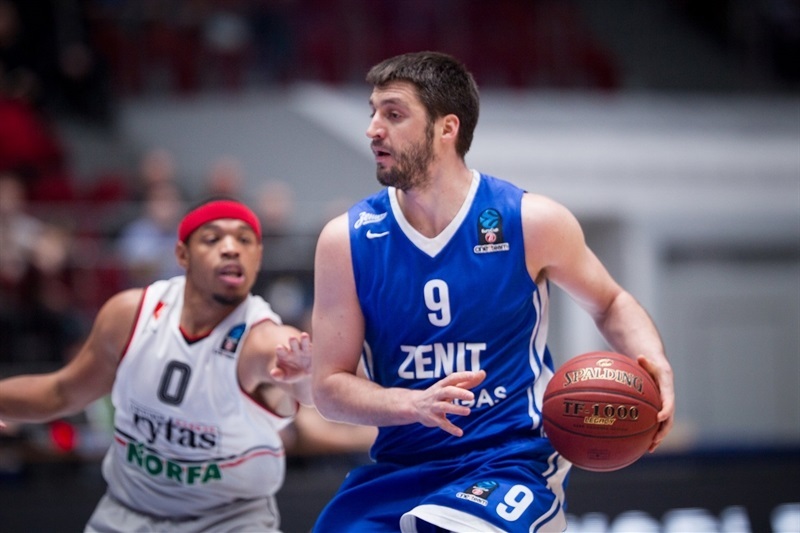 Zenit never trailed in taking its maiden win in Group G of the Top 16, while Rytas fell to 0-2. Pavel Sergeev made 4 of 6 three-pointers for 14 points, Kyle Landry scored 13, Stefan Markovic ran the show with 9 points, 7 rebounds and 8 assists and Trevor Mbakwe anchored the defense with 9 rebounds, 4 steals and 4 blocks for the victors. 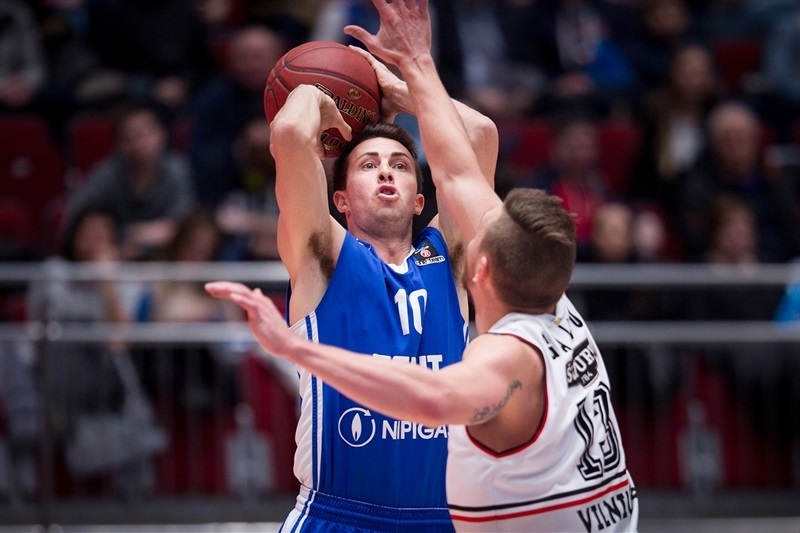 Zenit led by double figures after 10 minutes, but Rytas rallied behind Corey Fisher to get within 43-40 at halftime and then tie it four times in the third quarter. However Zenit never fell behind and when Timma heated up, he padded the lead and allowed the hosts to cruise to victory. 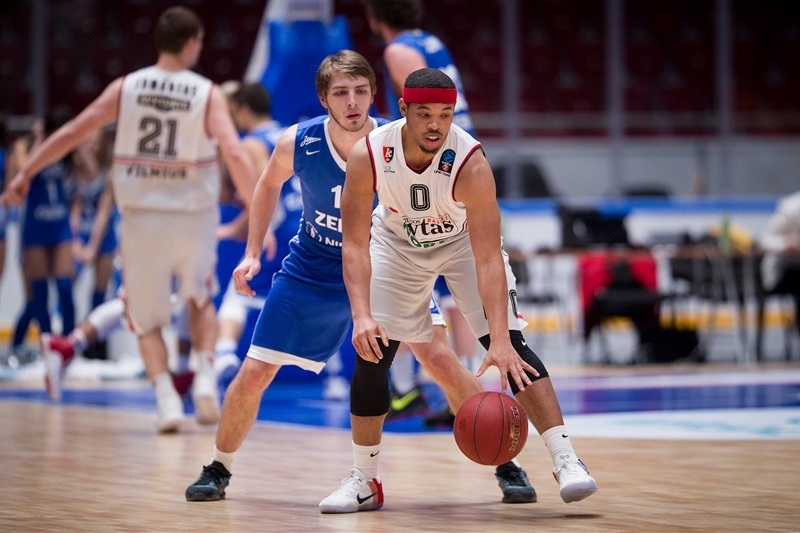 Drew Gordon led Rytas with 16 points and 11 rebounds, Fisher added 15 points and 5 assists and Rokas Giedraitis scored 10 in defeat. Markovic hit a three and then added a basket-plus-foul to get Zenit started on the right foot. 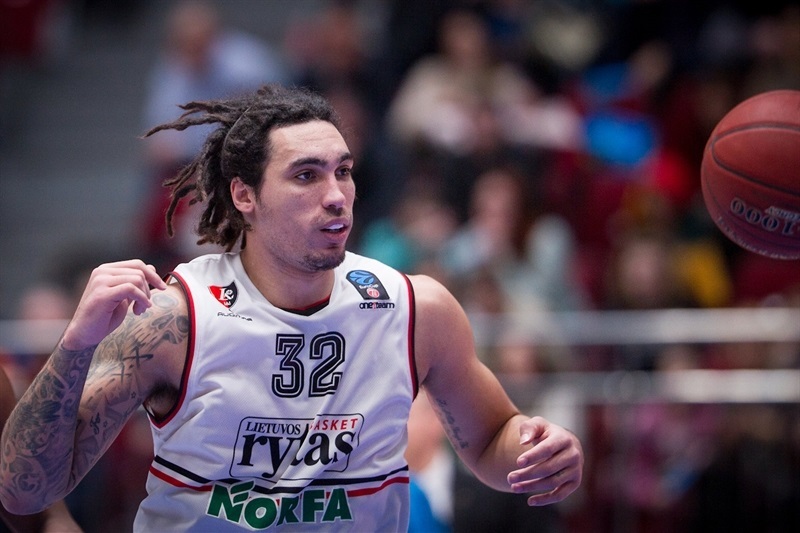 Gordon countered with 5 straight points for Rytas, which trailed 9-8 at the midway points of the quarter. But the trio of Ryan Toolson, Landry and Timma each scored twice as Zenit took charge to lead 27-16 after 10 minutes. 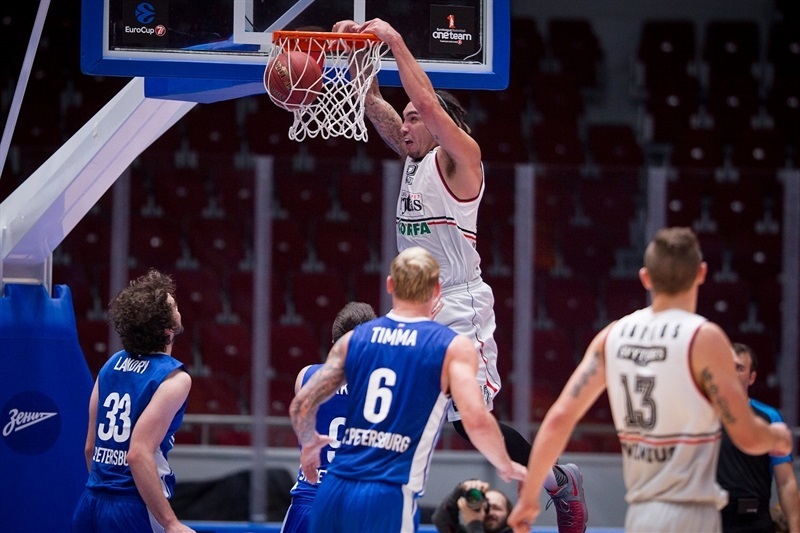 Rytas used a 0-7 run early in the second quarter to narrow the gap. Sergey Karasov took charge for Zenit and a Sergeev triple restored a double-digit advantage at 37-27, but Fisher and Julius Jucikas led another Rytas push to get back. Fisher’s triple in the last minute of the half made it 43-40 at halftime. Adam Lapeta free throws further closed the deficit before Fisher tied the game at 45-45 with a three-pointer. 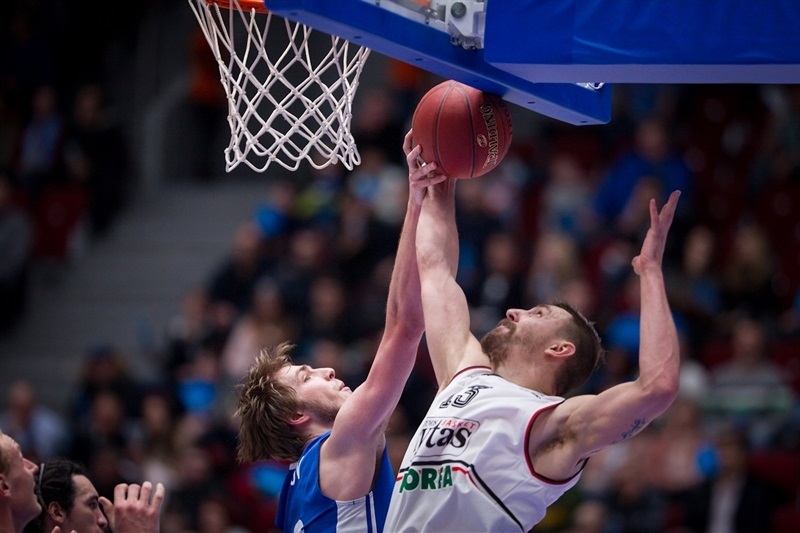 Rytas tied the game three more times, the last at 52-52, but never went ahead. 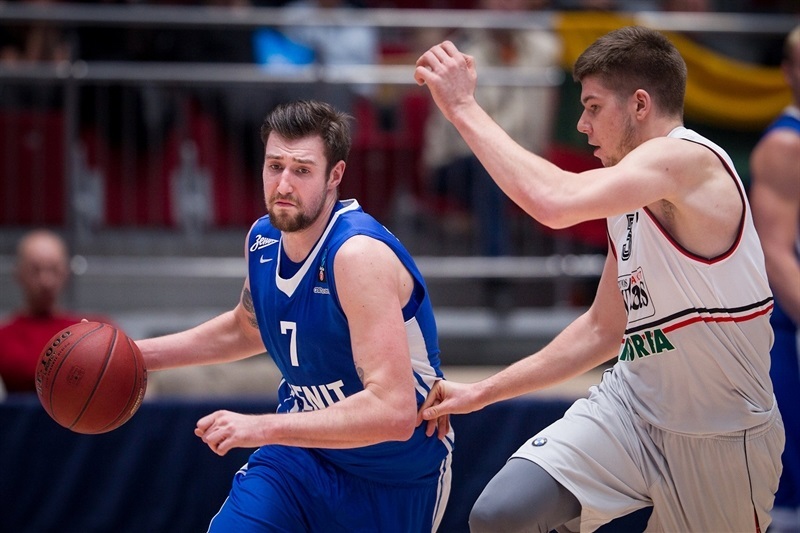 Back-to-back triples by Sergeev and Timma helped Zenit regain control and Landry’s basket ended the third quarter at 62-53. 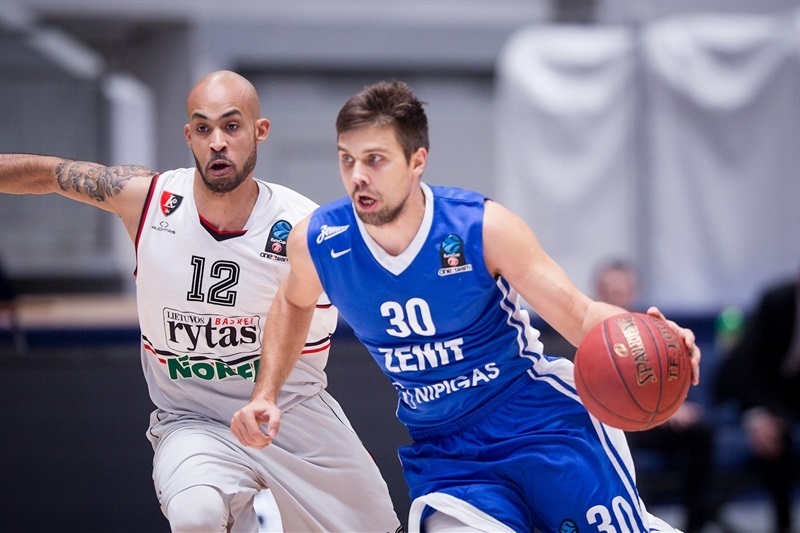 Rytas remained within striking distance at 7 down several times in the fourth quarter, but Timma found his stroke with 10 fourth-quarter points to ensure a Zenit victory. "After such wins when we score 110 points it is clear that our scoring will drop. 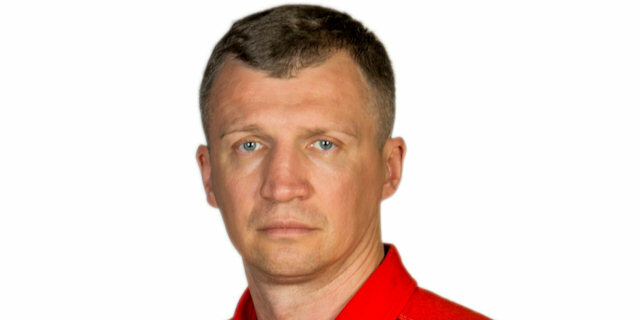 That’s why in such moments we must be aggressive in defense as we were in the beginning of the game. Sadly we have a relatively young team and our players can’t perform good games one after another, but still a win is a win." "We didn’t manage to use our chances when the score was 47-47. We made a lot of unforced turnovers, we weren’t aggressive enough on defense and made mistakes. 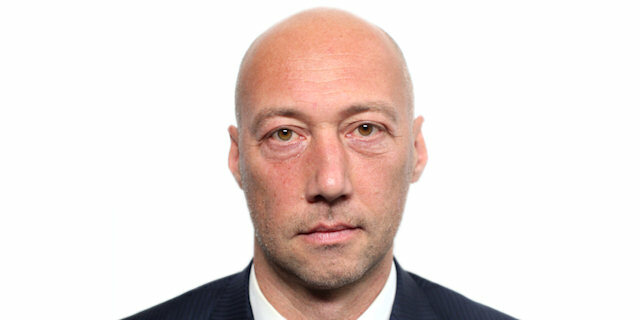 In the end it was hard to catch up 10 points versus such an offensive team as Zenit when you already let them be ahead that much."